Enter to Win This Poster! Hey folks, while the new NFL season is already here, the new season of The League is just about to start. Tune in for the premiere of Season 4 of The League on Thursday night (Oct 11) at 10:30 PM on FX. The latest season brings Taco, Pete, Kevin, Ruxin, Jenny, Andre and a host of guest stars back together for another 13 episodes of practical jokes, trash talking and of course, fantasy football. But wait, there’s more, if you’re a fan of The League and you’re also the type that likes posters, then have I got contest for you! 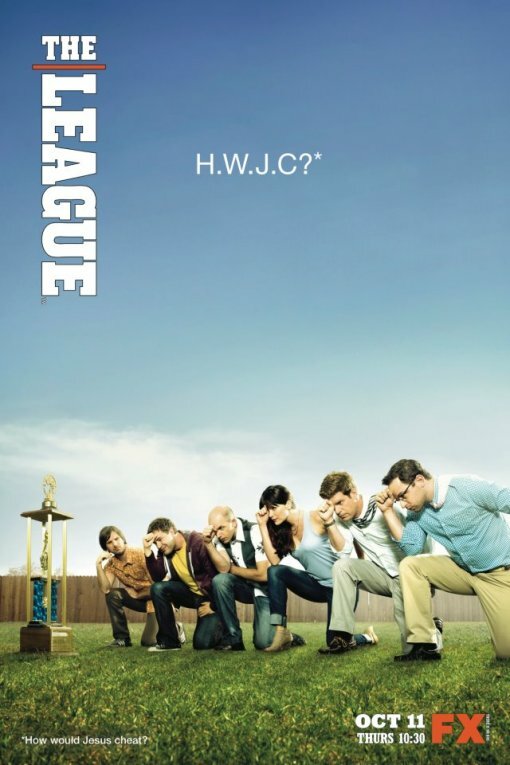 Head on over to bumpershine.com/theleague and you can enter to win a key art poster from Season 4 of The League (as pictured above). Contest ends October 16 at 11:59 PM, one entry per person, US residents only. View a trailer for Season 4 of The League after the jump.